Within the past few decades, the concept of replacing lawn with meadow caught wind among landscape designers across the country. However, despite its ecological and artistic potential, the “meadow” has acquired a similar reputation to that of the “rain garden,” in the sense that it is often placed onto landscape plans without thorough research into the reality of its functioning and appropriateness to existing site conditions and client goals. What is the existing seed bank in the soil? Which plant species are appropriate for this location? Should plants be seeded or plugged? How will it look during installation? How often do you need to irrigate it during establishment? What type of equipment do you need to maintain it? What is the most efficient economy of scale that will yield cost savings in maintenance? What is the desired percentage of grasses to forbs (herbaceous flowering plants) and how will the meadow function ecologically? This is only a sampling of the many questions that demand answers prior to making the seed order. 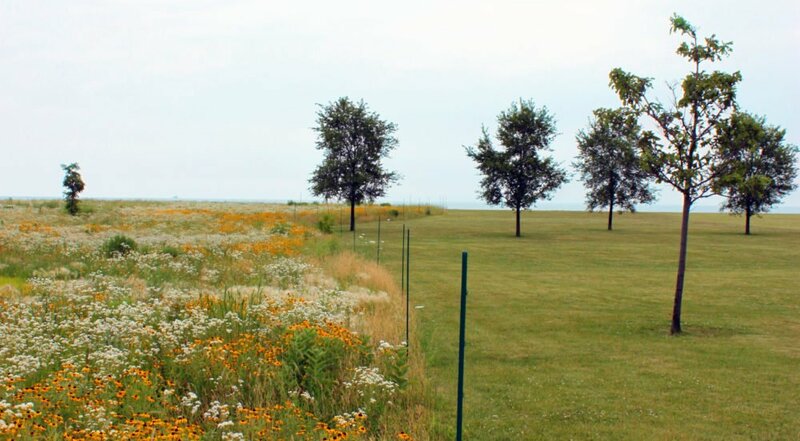 This article (download for free below) explores multiple approaches to meadow design, installation, and management. Written by Conway faculty member Kate Cholakis ’11, the piece presents case studies from Conway alums and other leading figures in the field. If you have comments, case studies, or resources to share, please email kate@csld.edu.